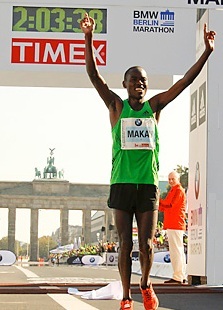 Congratulations to Kenya's Patrick Makau for setting the new Men's World Record Marathon in Berlin with a time of 2:03:38, breaking Haile Gebrselassie's 3-year old record by 21-seconds! See The Science of Sports for an excellent detailed analysis of his achievement. Super run. I watched the whole race and he made it look easy. Awesome! 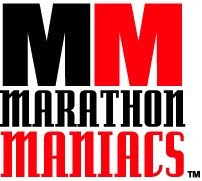 Seriously insane, sub 2 hour marathon is only a question of when, not if anymore!